The Healthy Families program was overall amazing. Before our son was born we were given weekly information on his development and worked on getting ready for his arrival. Once he was born we set goals individually and as a family and worked towards achieving them. We received information on how he should be developing according to his age and activities we could do with him to enhance his development. We were also able to go to the support groups they run and meet other families and share ideas with each other. With the help of the program I was connected to many resources I did not know about. I had Jayden when I was 16 and was enrolled at Quinsigamond Community College in their Twelfth Year program where I finished my last year of high school and my first year of college simultaneously. Now I’m set to graduate as a Registered Nurse in 2017. They helped connect Jose, Jayden’s father, with resources for jobs which was very helpful. Basically, anything we needed at different points in our journey with them, they were able to help with. Even after Jayden was too old for us to be enrolled in the program they still helped get us connected to the Head Start Program. The best part was working with people who are truly amazing at what they do and developing relationships that will last a lifetime! Being involved in Head Start allowed Jayden to get into a routine of being in a structured learning environment. He learned how to write, start to read, tell time, count to at least 100 in English and 15 in Spanish, learned to share, work out issues with peers using a solution book, and more during the year he was enrolled with Head Start. It was nice to work on things with him at home and then see the difference when he comes home from school and shows us the improvement he has made with what he had worked on that day at school. We became involved with the Head Start Policy Council because we want to be as involved in Jayden’s education as possible. Jayden graduated from WCAC’s Head Start program in May 2016 and will head off to public school kindergarten in September. After earning his HiSET (formerly known as the GED), Christian enrolled in WCAC’s Youth Employment Seminar, a work readiness program covering everything from soft skills, to resume writing and mock interviews. “It was a great experience to get ready for the workforce,” he recalls. Having expressed interest in a career in the field of banking or financial services, Christian spent time volunteering with WCAC’s Volunteer Income Tax Assistance program before staff helped him secure an internship with AllCom Credit Union. “After two months they liked who I was and how I worked,” he said. 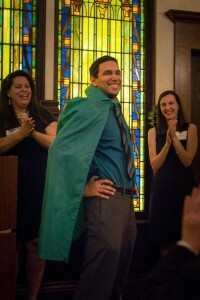 “On April 28, 2012 they hired me as a teller.” Christian was honored at WCAC’s 10th Annual Action Hero Celebration for his great success, Christian was recently promoted to a senior teller position at AllCom. He and his wife are now preparing to buy their first home together. “Everybody needs somebody, WCAC was my somebody,” says Winnie Octave. A single mom of three transplanted to Worcester after a divorce, Winnie’s first interaction with WCAC came through computer classes designed to improve skills and enhance employment opportunties… that led to other programs and services – and eventually a 13 year stint as a member of WCAC’s Board of Directors. “Everything fell into place,” she says. 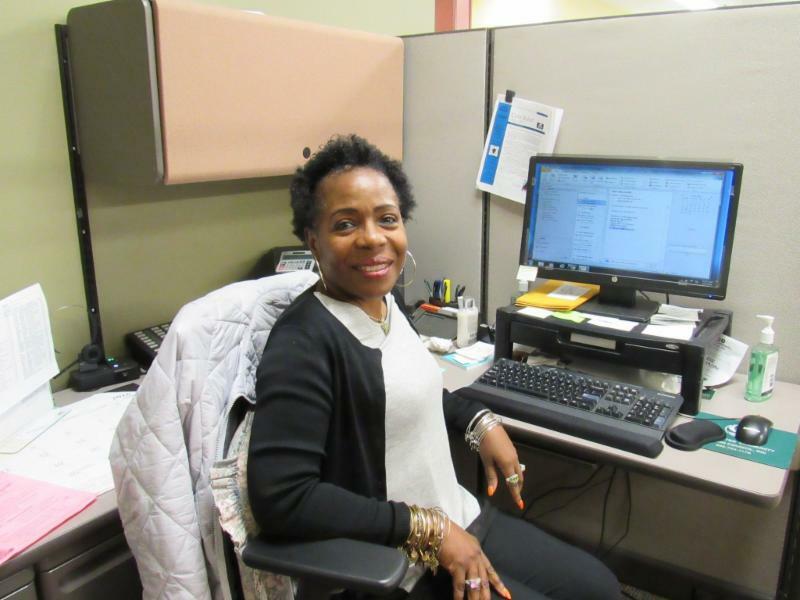 “WCAC was the backbone to all of the other opportunities which came my way.” Now a homeowner and proud mom of two grown sons and a daughter, she’s recently returned to WCAC where she is working with clients facing utility shutoffs. Thank you for notifying me of your upcoming fuel assistance (LIHEAP) deadline, but I am happy to inform your agency that I will no longer be needing fuel assistance. I do want to take this opportunity to thank you from the bottom of my heart for all of your past assistance. As the mother of two young boys, working part-time trying to make ends meet, your program was essential. I don’t mean it was “nice” that you paid part of my electric bill, I mean we would have gone without heat if it wasn’t for the help of your organization. I had to work part-time so that I could get my sons on and off the school bus each day. I could not afford day-care (they made more than I did). I became the master of the $5.00 meal (yes for all three of us). Those were hard times, but not unhappy times. Your organization helped make sure that we were warm and safe (frozen pipes are not only costly, but dangerous). My boys and I are now in a better situation. I have a good paying full time job and my boys are almost on their own too. When you hear that “It takes a community to raise a child” that includes programs like LIHEAP. Thank you so much for being there when we needed assistance. I am sure that my family is not the only one that feels this sense of gratitude. Keep up the amazing work. 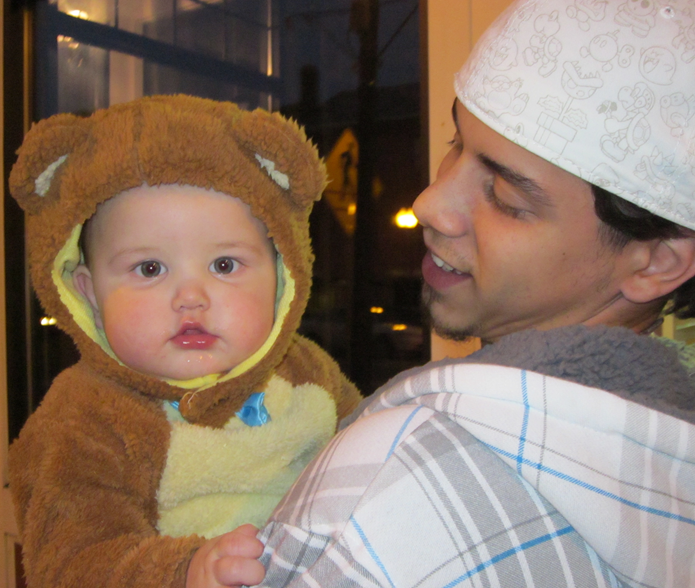 Calvin Bradshaw, 26 years old, enrolled in WCAC’s summer jobs weatherization program in 2009. Little did he know he was about to change his life. As part of a group of 11 young men and women, Calvin participated in a pilot program under the direction of WCAC’s energy team to learn green job skills and perform weatherization activities. The young adults received two weeks of pre-employment training, with a heavy emphasis on weatherization audits. A local contractor volunteered his time to offer hands-on demonstrations on caulking windows and blown-in insulation. While the rest of the group worked under the direction of the Main South CDC, Calvin shadowed the WCAC energy auditors and accompanied them on many quality control site inspections to learn how to do a thorough energy audit. He and the other young people also attended the moderate deleading training and received their certificates. At the end of the summer jobs program, Calvin enrolled in WCAC’s GED classes, where he studied for two months and achieved his certificate. WCAC then hired him part-time to work with the energy team. 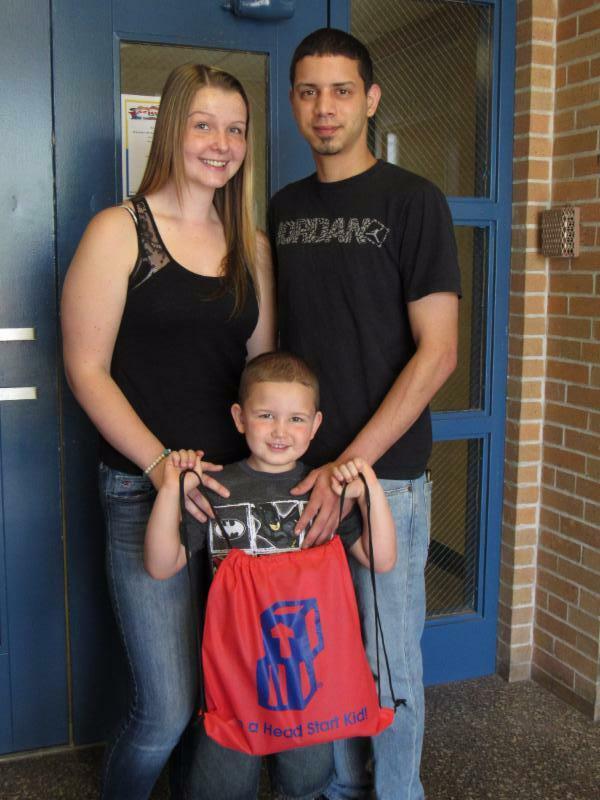 In 2010, Calvin enrolled in Quinsigamond Community College (QCC), and through the WCAC’s Senator Edward M. Kennedy Scholarship program, he was awarded a laptop computer for his school work. “I wanted to better myself. I wanted a career path in the criminal justice field, and I’m leaning toward being a police officer.” So far, Calvin has taken 8 courses at QCC, recently took and scored an 89 (70 is a passing grade) on the police officer civil service exam, and will be on the list for 2 years.